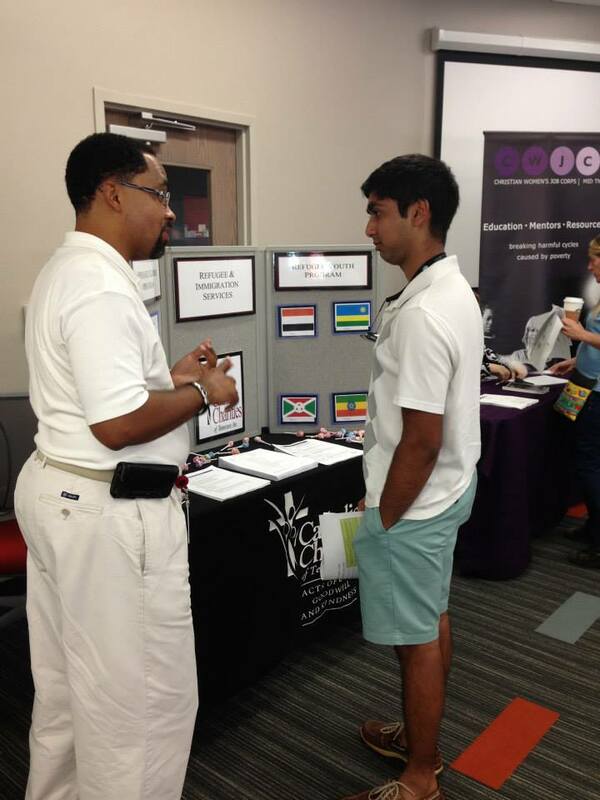 Saturday, Jan. 31, 9 a.m. to 5 p.m.– Appointments will fill fast! 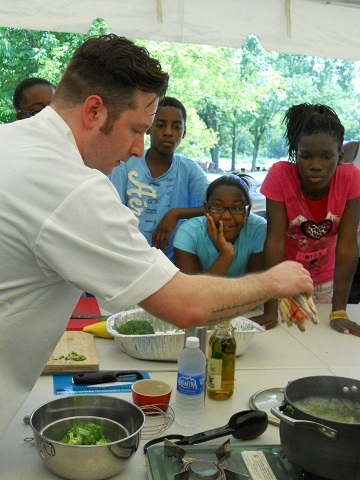 Saturday, January 25, 9 a.m. to 5 p.m. – Make your appointment today… Spots will fill fast! 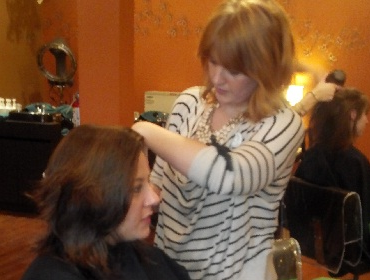 blow-outs and braids at $20 and up (appointments and walk-ins welcome). Call (615) 649-0501 to make an appointment (please specify desired price point when making your appointment). Salon Nfuse is located at 2535 Franklin Pike, Suite 106, Nashville, 37204 (just south of downtown Nashville near where 8th turns into Franklin Rd). Red Earth Trading Co. will also be on hand selling high-quality, fair trade jewelry and accessories created by artisans in Uganda and Kenya. 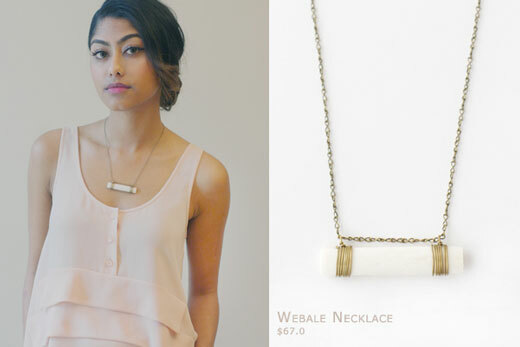 Red Earth Trading Co. exists to create hope and opportunity through fashion by giving these talented artisans in developing countries access to the global market. They also donate 5% of every sale to their nonprofit partner Know Think Act to further their mission of empowering local leaders in East Africa to end extreme poverty in their own communities. Bonus! Salon Nfuse will also give $20 toward any future hair service to all HON volunteers who bring in proof of volunteer service in 2013 or 2014. (One per person. To print off proof of service, volunteers should login to their accounts at www.HON.org and print off their account homepage.) 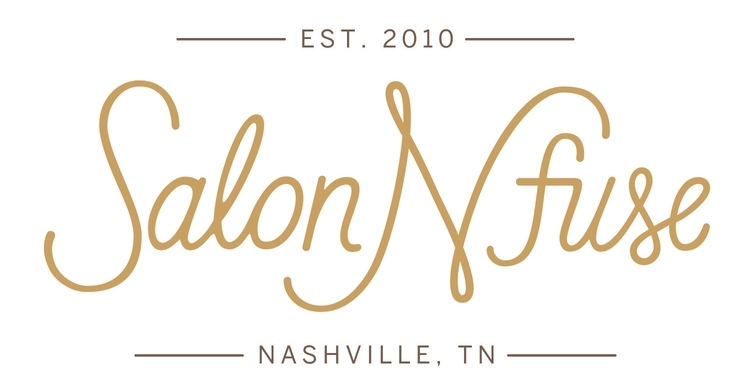 Thank you to our talented friends at Salon Nfuse for their generous support of Hands On Nashville. 115 bikes donated on #GivingTuesday! Warmer weather and lots of wonderful people in Nashville made #GivingTuesday here at Hands On Nashville a glowing success. Thanks to everyone who came out to support this fun day. Special thanks to Dozen Bakery and Tennessee Cheesecake for providing treats, and Wannado for volunteering with us. This donor brought by a whole truckload of bikes! 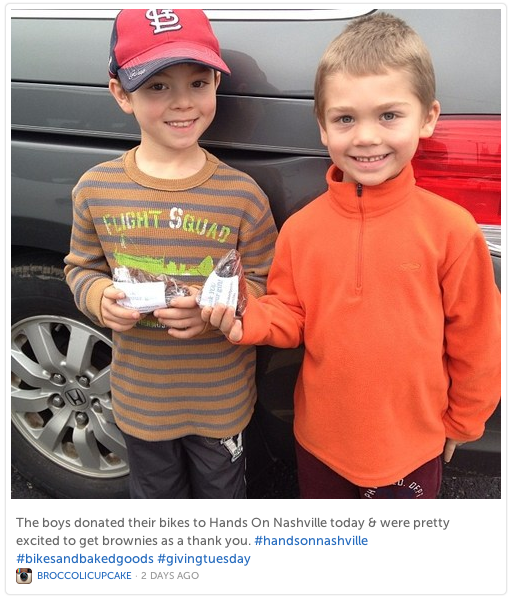 Hands On Nashville received 115 bikes during our #BikesAndBakedGoods bike drive on #GivingTuesday, bringing our total so far to 325 bikes (our goal is to reach 500 bikes by Dec. 20 – read more about how you can help here). All of these donations will support our ReCYCLE for Kids program presented by Jackson. Volunteers will restore the bikes to like-new condition with expert guidance from the Oasis Center’s Bike Workshop. Then in the spring, we’ll give them to 400 underserved youth along with new helmets and safety training. During our #GivingTuesday bike drive, we heard all sorts of fun stories from donors as they parted ways with their wheels. One father took a “last photo” of his daughter’s bike before handing it over to us, and then sent his daughter – who just went off to college – the photo as a memento. He also picked up a few baked goods to ship to her in the mail. 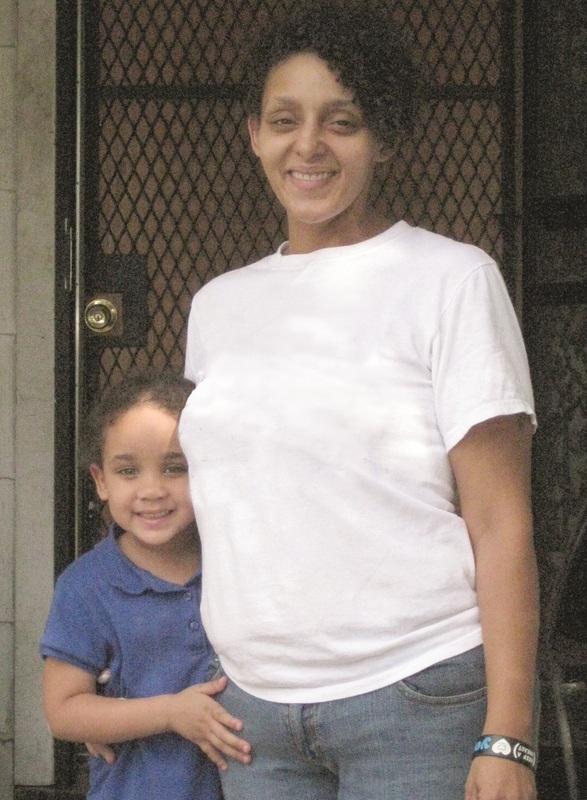 Jerilyn told us about using her childhood bike at her first job on the paper route. The banana seat was just *so* comfortable. Jerilyn drops off her childhood bike. 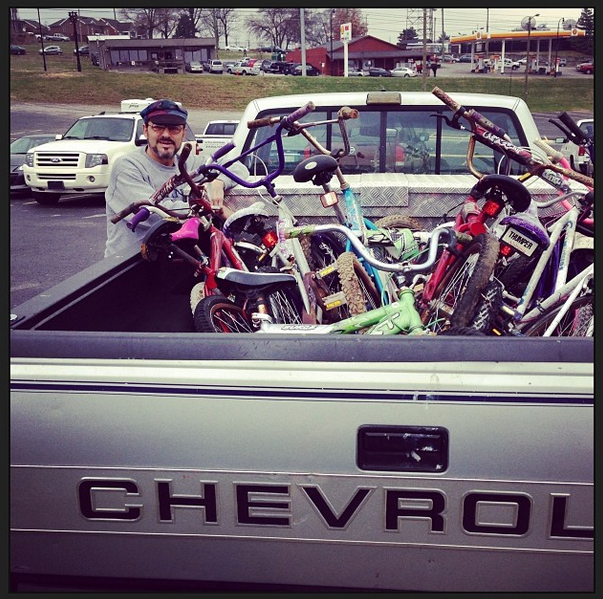 Another donor came up with a pick-up truck piled high with over eight bikes he collected from his neighborhood. He saw a story on the news and was intent on helping out a good cause. 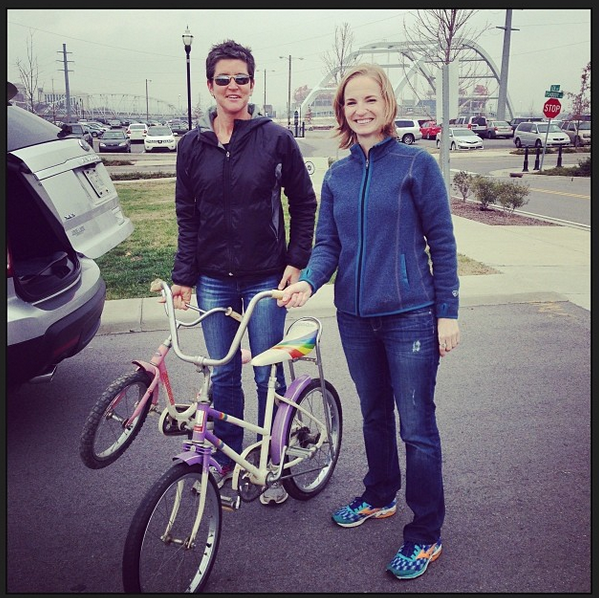 Thanks to everyone who donated their bikes or gave monetary donations to support ReCYCLE for Kids and Hands On Nashville. We absolutely love this community and are sincerely thankful for your giving hearts. If you missed out on the designated day of giving, we’ve extended our collection. And yes, we still need your help. 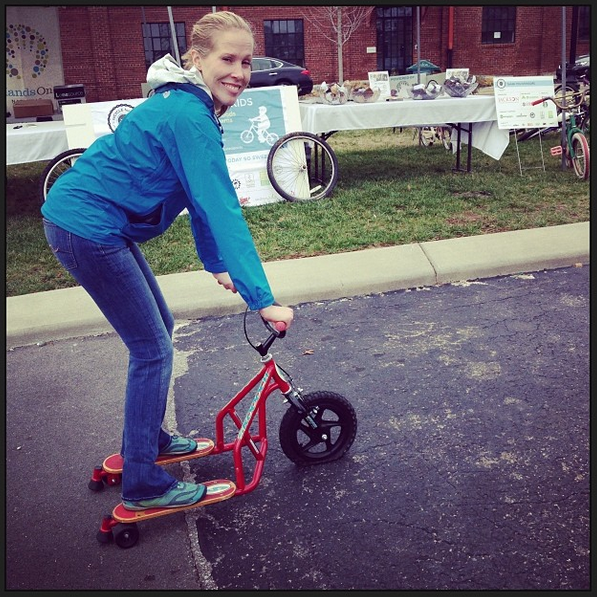 Up until December 20, we’re collecting new and used children’s bikes at the Hands On Nashville office, located at 37 Peabody Street, Suite 206 (in the downtown Trolley Barns), Monday through Friday, 8 a.m. to 5 p.m. Go ahead and dust off those bikes sitting in your garage or basement – they could make a kid’s year, helping them enjoy the excitement of riding and exercising, just like you did as a child. Our goal is to collect 500 used children’s bikes, and with your help we will get there! Don’t have a bike but still want to help? We’re also accepting monetary donations to help buy new helmets for the kids. $10 will buy one helmet. Help us keep their noggins safe! > Click here to read more information about ReCYCLE for Kids. 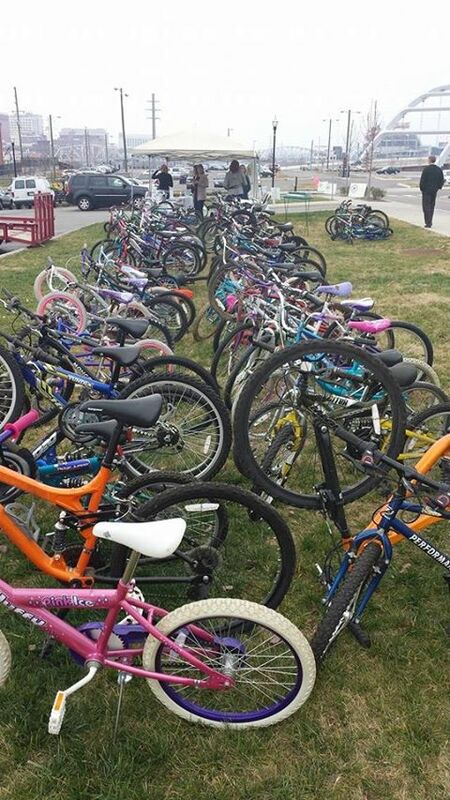 Look at all these bikes that will get a second life, thanks to YOU, Nashville! The silver lining of coming in second. During this week of thanks, we at Hands On Nashville are feeling particularly grateful for everyone who voted for HON in the recent Claris Cloud Giveaway contest to win $200,000 in IT services. We were honored to be a finalist and to receive so many votes from our friends locally and nationally. We came in a close second to Operation Stand Down Nashville – a wonderful organization that provides many life changing social services to veterans in Middle Tennessee. Claris’ significant investment in Operation Stand Down Nashville is a win-win for the Nashville community. You can read Claris’ announcement about the winner here. To our friends and incredible community volunteers: Thank you for your support of Hands On Nashville in this effort, and throughout the year. To EVERYONE who voted in this contest no matter which organization you voted for: thank you. We can’t wait to see what Operation Stand Down does with their new IT support, and know it will go a long way to serving those who have bravely served our country. Thank you for voting us #1 Best Nonprofit! We are feeling the love this week in a big way. What great enthusiasm our city has for volunteerism! FIRST: Thank you, Nashville, for voting us “Best Nonprofit” in the 2013 Nashville Scene Readers’ Poll. We are honored to share this recognition with two great organizations, Ronald McDonald House Charities and Thistle Farms. A special thank you to the Nashville Scene and Jackson National Life Insurance for awarding us $5,000 – this money will go to support our work to meet critical community needs through volunteerism. 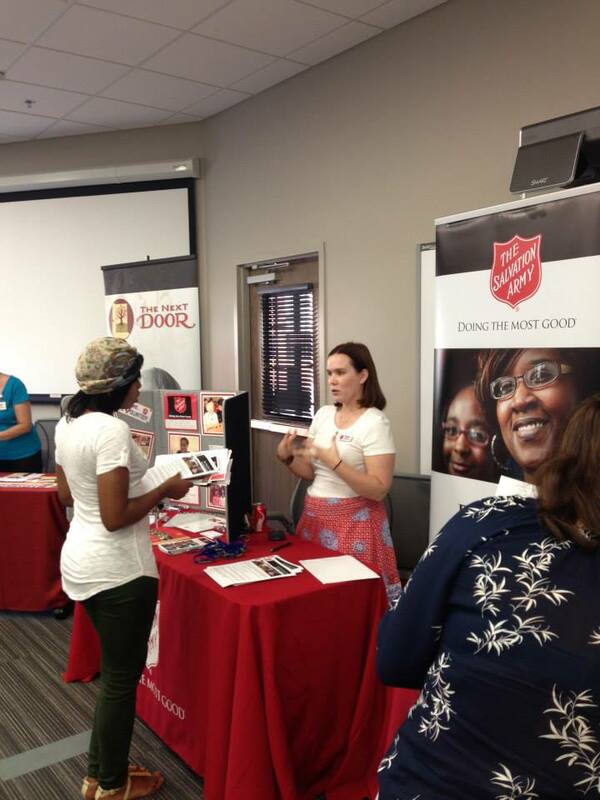 This city sure is proud of its culture of service, and we are truly honored to play a part in making volunteerism something that Nashvillians value. All of our good work is made possible by the remarkable gifts of time and talent provided by selfless volunteers and community partners. LAST (but certainly not least! ): We were also honored this week when our fearless leader and CEO, Brian Williams, received The Bank of America CEO of the Year Award at the 2013 Salute to Excellence awards dinner. This award highlights the importance of executive leadership in an organization’s achievement of mission-related results. 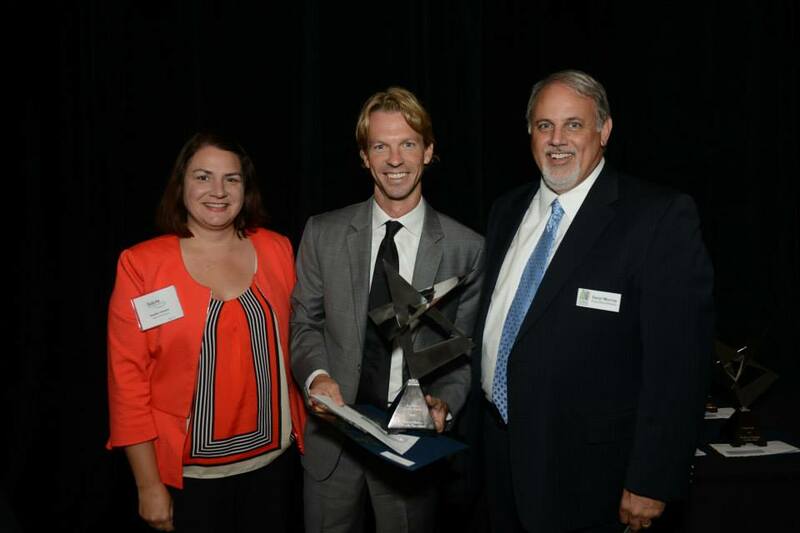 Thanks to the Center for Nonprofit Management and Bank of America for this wonderful recognition!